This Spring, After School Matters is running our second corporate mentorship program — pairing corporate mentors with teen interns to learn from each other and help the teens better prepare for their futures. The pairs will work together over the course of the 10-week Spring program session for an impact-full collaboration. During the first week of Spring programs, all 34 participants, 16 teens and 16 mentors, convened at Gallery 37 Center for the Arts. Mentors met their teens and the pairs completed their first pair activity: a vision board exercise. The pairs will continue to work together through mid-May, meeting in person each month and completing a weekly blog about their experiences and growth. We’ll be introducing you to some of the pairs in this program throughout Spring 2016, starting with mentor Andrea and teen Natalie. 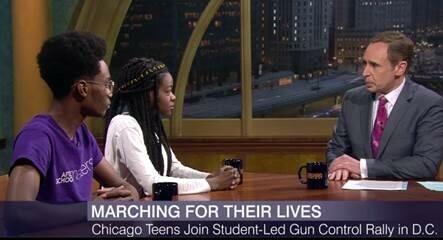 Natalie (above right) is a senior at Lane Technical High School. She is an intern with the After School Matters Youth Advisory Council. Natalie plans to attend college this fall to study audio arts and acoustics, eventually going into a career in audio engineering. When asked what she hopes to learn from her mentor, Natalie said she wants to gain better time management skills. 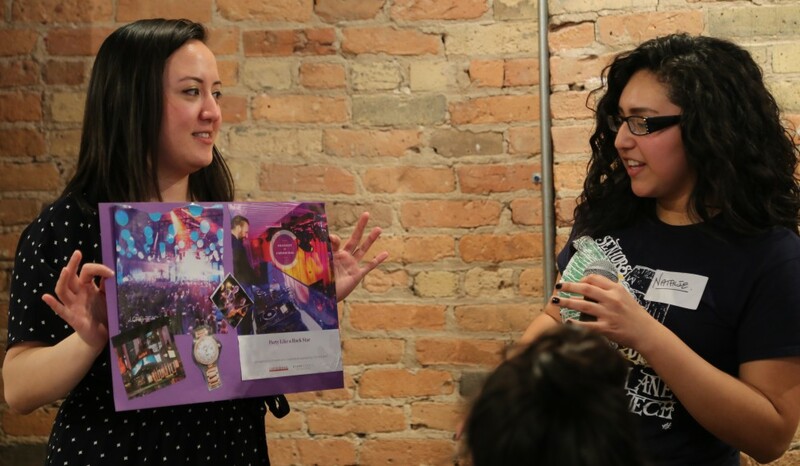 Natalie shares the vision board she created with Andrea for the group.